Our new location in Osseo is NOW OPEN! Take the short drive down I-94 so you can enjoy the best craft beers in Western Wisconsin! tasting brew straight from the tank! EXCLUSIVE TAP BEERS - DON'T MISS OUT! be brewed once, and then never again, so don't miss out! ask your bartender for pairing suggestions! FISH AND CHIPS ... AND BEER! to pair with your craft beer selections, including our one of a kind fish and chips! BRING YOUR FRIENDS, WE HAVE LOTS OF ROOM! in a lounge chair, all while enjoying your favorite craft beers, brewed on site! Our lovingly crafted brews are just the beginning. intimate conversation there’s a spot waiting for YOU. Take the short drive to check us out in Osseo, Wisconsin: rotating tap lines and limited time brews, guest taps, 18+ flatscreen TVS, right off the ATV trail, large outdoor seating, brewery tours daily and more! 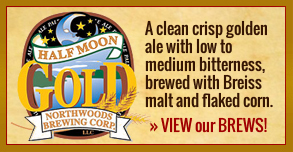 Northwoods Brewpub and Grill brought the fine tradition of craft brewing to Western Wisconsin. 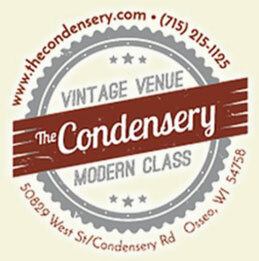 Now the first microbrewery in west central Wisconsin is the place to be! It’s all woodsy and warm in our lodge-like bar set inside a 100 year old building. Hang out with friends, shoot pool for free or melt into the comfy chairs in the lounge. Whether you want to let loose, listen to music, watch the big game or have an intimate conversation there’s a spot waiting for you. Did we mention we have 35 taps? Your thirst stops here. Our restaurant features the perfect pub food to compliment our craft beer selection: thick and juicy burgers, pizza and tasty appetizers! Drop in for a cold one! Please explore our site . 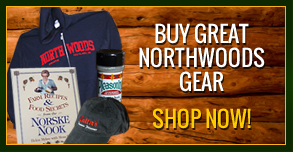 . . and stop in soon! Here’s where to find our delicious craft beers…click to see the full list of distributors! Your Destination Wedding, Meeting and Event Center!